In December 2015, the Every Student Succeeds Act (ESSA) reauthorized the Elementary and Secondary Education Act of 1965 (ESEA). Protections for foster care youth found under ESEA, as amended by ESSA, aim to enhance collaboration and align both education and child welfare systems to improve educational outcomes for foster care students. For the first time, ESSA embeds in federal education law provisions that promote school stability and success for youth in foster care. 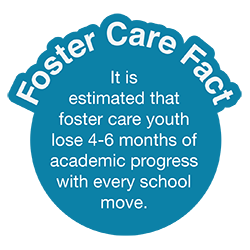 Children in or entering foster care frequently change schools which is disruptive to their education and makes it difficult for these children to develop supportive relationships with teachers or peers. Unplanned school changes may be associated with delays in children’s academic progress, leaving highly mobile students potentially more likely to fall behind their less mobile peers academically. ESSA amends the ESEA to include educational stability for foster care youth exclusively under Title I, Part A. The Title I educational stability provisions for foster care youth were required to be implemented within one year of the federal law’s passage, or, December 10, 2016. 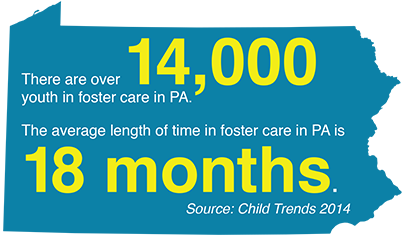 The Pennsylvania Department of Education (PDE), the Pennsylvania Department of Human Services (DHS) and the Center for Schools and Communities (CSC) are working together in order to promote school stability and success for foster care youth. On June 23, 2016, U.S. Departments of Education and Health and Human Services issued joint non-regulatory guidance to state and local education and child welfare agencies on the new provisions in the Every Student Succeeds Act (ESSA) for supporting children in foster care. The guidance (PDF) aims to assist state and local partners in understanding and implementing the new law. On November 29, 2016, Pennsylvania Departments of Education and Human services issued joint guidance (PDF) to further promote awareness among PA’s local education agencies (LEAs) and county children and youth agencies (CCYAs) of key changes and requirements.